Minnesota's first Jesuit high school graduates its first class on Saturday. 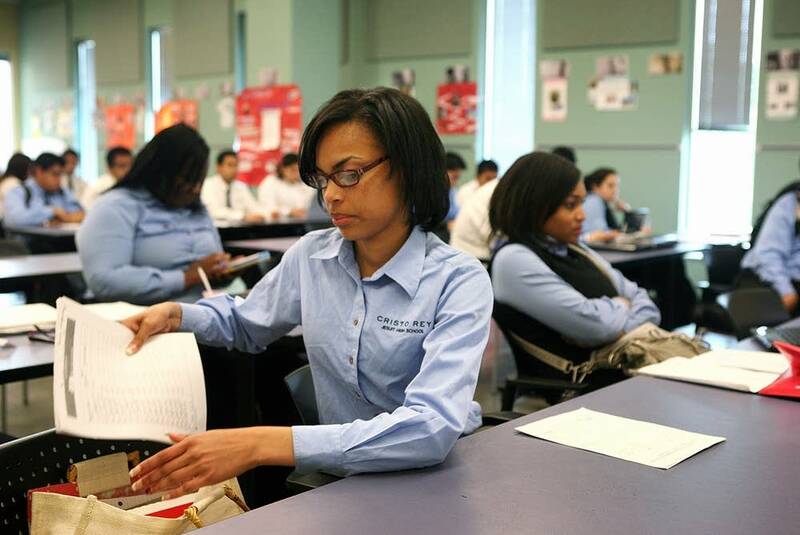 Minneapolis' Cristo Rey High School puts low-income, inner-city youth through an education based on faith, diligent school work and a mandatory corporate job. Administrators say that combination has resulted in nearly all of this year's graduates going on to college. Cristo Rey credits its success to the combination of school and work, which they say breeds confidence. Luis Nava Torres is one of the first graduates. He started working at M&I Bank as an intern when he was a freshman at Cristo Rey. One day two years ago, after his family's house burned down, he came to work the next day. The bank rewarded Nava Torres' work ethic and gave him a part-time job. Torres said it's taught him to be more confident. Most of Torres' family cleans houses for a living. "They're all happy and think it's kinda cool that I get to do an easier job than they do and get paid more than they do, so they're all proud," Torres said. And they will certainly be proud as Torres graduates from Cristo Rey High School in Minneapolis' Phillips neighborhood -- one of the city's most diverse areas. 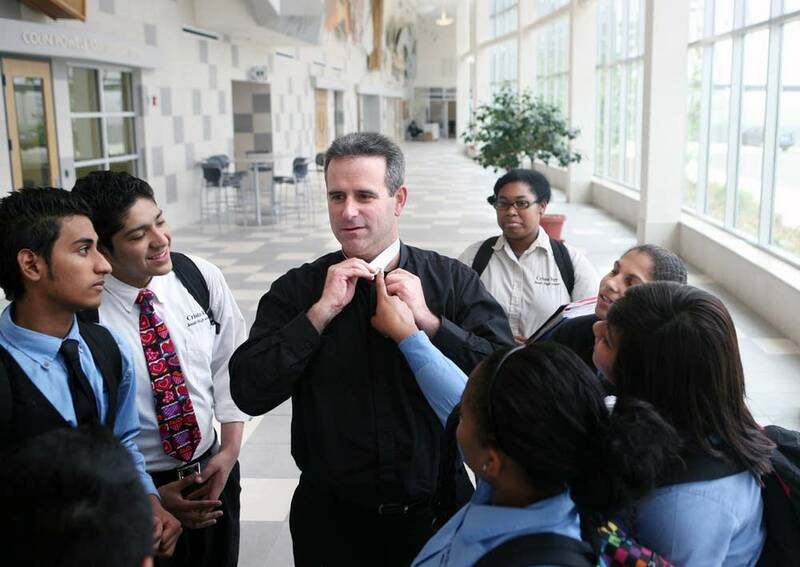 Cristo Rey is part of a national network of more than 20 high schools. They recruit low-income, urban kids, putting them through a rigorous high school experience with long school days and long school years. Each student must work after school one day a week in professional settings, like law firms and hospitals. The jobs come from the schools' corporate partners. The students' earnings go directly to the schools and pay for about half their tuition. The schools also put an emphasis on faith, although all faiths are accepted. Cristo Rey High School opened four years ago in the diverse Phillips neighborhood About 270 students are enrolled. Of the 60 students in its first graduating class, more than half plan to attend a four-year college. Luis Nava Torres received a full scholarship to attend the University of St Thomas. Most other graduates will attend two-year schools. Four students joined the Marine Corps. Senior Trinere Montgomery will be the first college student in her family, and she's already telling her younger siblings they have to follow in her footsteps. But during a break between classes, Montgomery says she wasn't always sure Cristo Rey was the right place for her. She started at Cristo Rey as a freshman but left the following year. "I left because of the pressure," said Montgomery. "I left because I felt like I was making too many sacrifices to come to this school. I felt like I was missing out on the real 'high school experience.' "
At the time the school didn't have any sports or an annual homecoming. But when Cristo Rey added more extracurricular activities, Montgomery returned. Other students didn't come back. School president the Rev. Tim Manatt said Cristo Rey's first freshman class was originally made up of more than 90 students and just half made it through all four years. 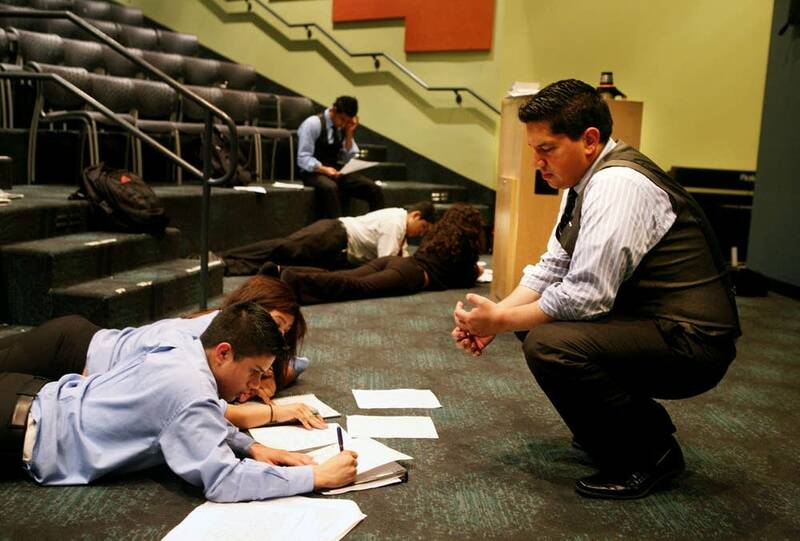 Some didn't expect to work as hard as Cristo Rey demanded. "There have been cases where students have been asked to leave," Manatt said. "I think that was more prevalent the first two years. This year of the 13 students who departed, at least seven to my knowledge left because families moved out of state." Religious studies teacher Nick Contreraz said kids also worry the school's asking them to be something they're not. He said they call it "acting white." "I think one of the key successes we have here is to show that it's not a matter of 'acting white,' it's how to navigate the professional world and how to be successful in the professional world, while also being true to yourself." Contreraz said it's important for students to understand different behaviors work in different environments. Principal Jeb Myers said businesses are looking for diverse candidates who can move between both worlds. "For them, it's a win," Myers said. "They know they're getting someone who's worked before. They know they're getting somebody that's college-educated and then they know that they're diverse. I know it sounds kind of utopian but really, if we can keep this rolling, it can really change what's happening in the United States." Myers said the school is on strong financial footing, with several major benefactors committed long-term. He said Cristo Rey will soon add a position to help guide graduates who've gone on to college. 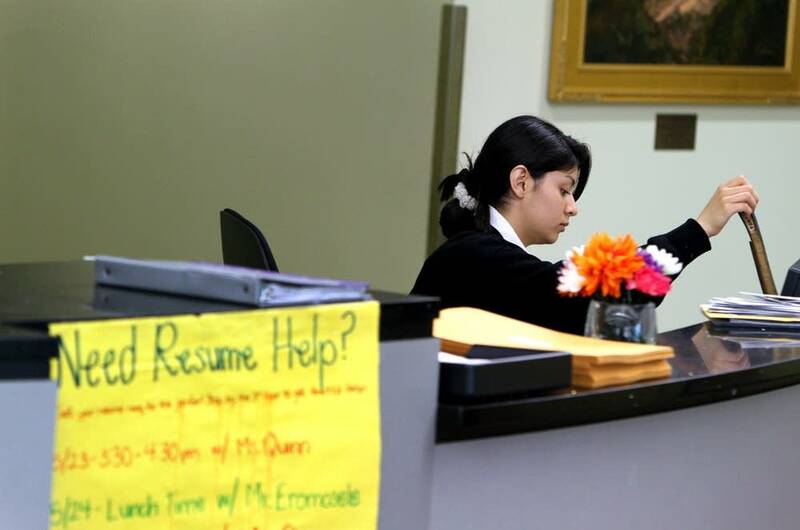 Myers hopes in another four years, Cristo Rey will be there to help its first class of graduates find permanent jobs.